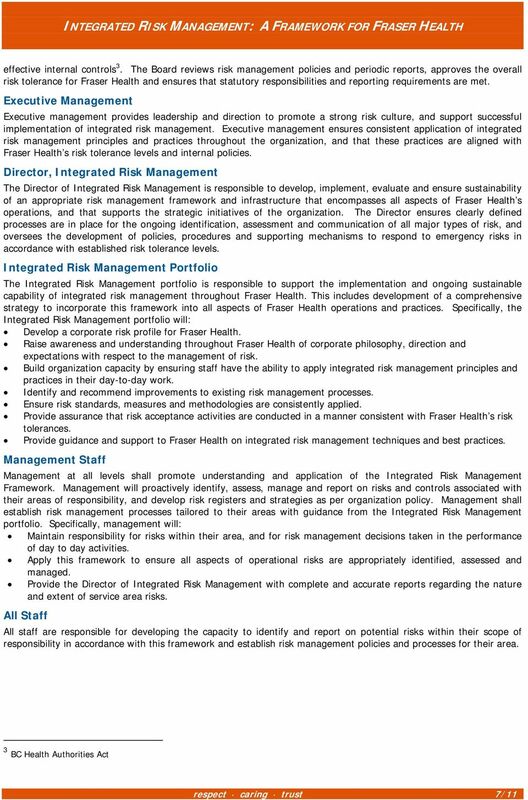 Guidance Note: Corporate Governance - Board of Directors. March 2015. Ce document est aussi disponible en français. UNOPS UNITED NATIONS OFFICE FOR PROJECT SERVICES Headquarters, Copenhagen O.D. No. 33 16 April 2010 ORGANIZATIONAL DIRECTIVE No. 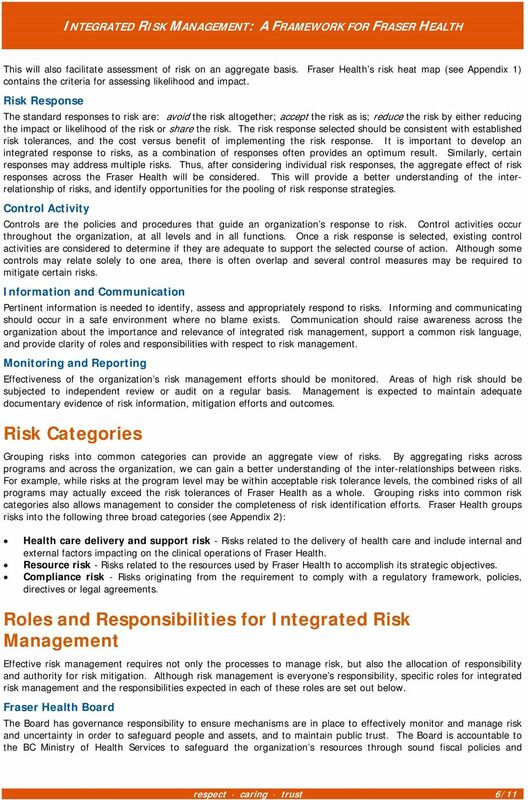 33 UNOPS Strategic Risk Management Planning Framework 1. Introduction 1.1. 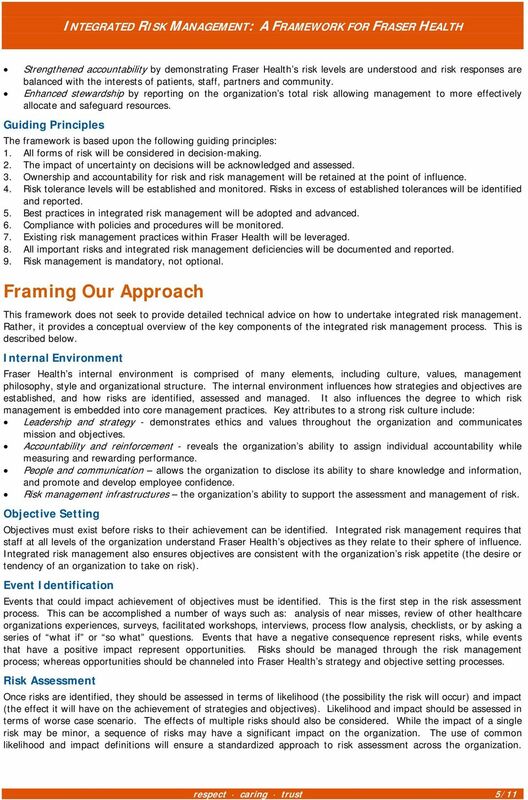 Avondale College Limited Enterprise Risk Management Framework 2014 2017 President s message Risk management is part of our daily life, something we do regularly; often without realising we are doing it. CSR / Sustainability Governance and Management Assessment By Coro Strandberg Principal, Strandberg Consulting www.corostrandberg. THE ROLE OF FINANCE AND ACCOUNTING IN ENTERPRISE RISK MANAGEMENT Let me begin by thanking Baruch College for giving me the opportunity to present this year s prestigious Emanuel Saxe Lecture in Accounting. 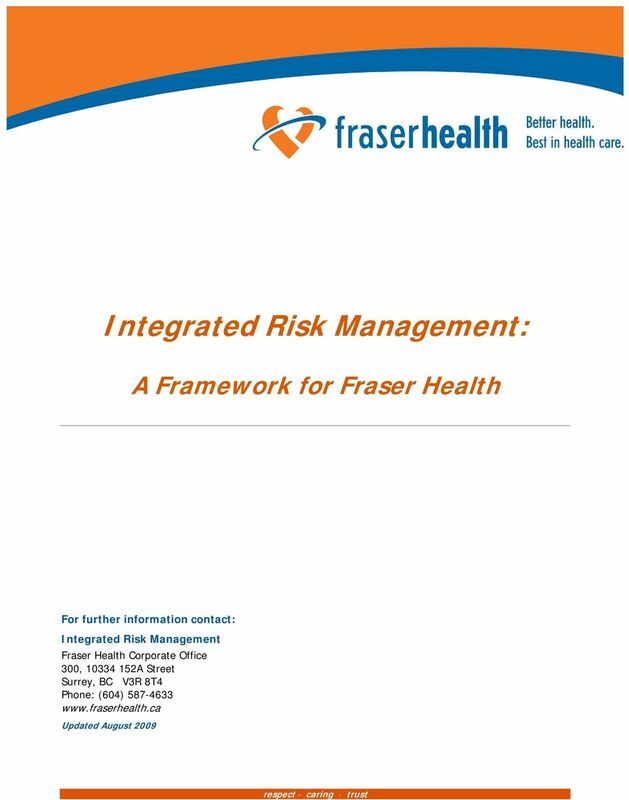 RISK MANAGEMENT FRAMEWORK 1 SUMMARY The Risk Management Framework consists of the following: Risk Management policy Risk Management strategy Risk Management accountability Risk Management framework structure. 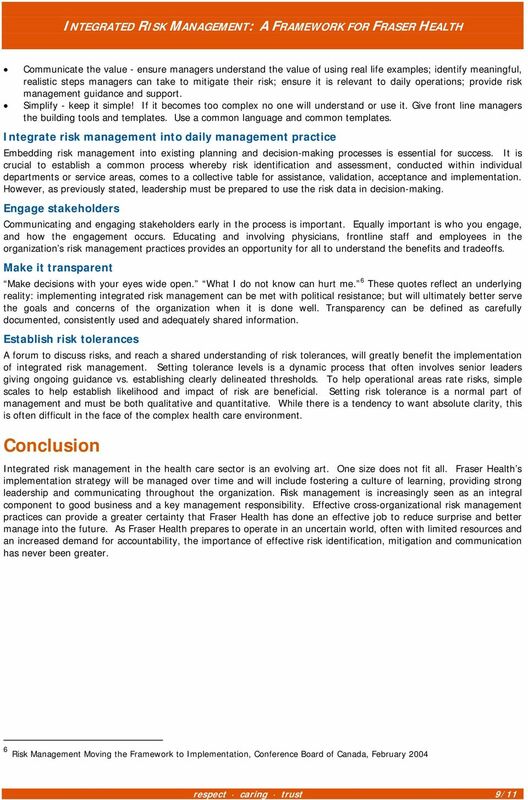 Governance and Risk Management in the Public Sector. Fernando A. Fernandez Inter-American Development Bank (202) 623-1430 e-mail: fernandof@iadb. Your asset is your business. The more challenging the economy, the more valuable the asset becomes. Decisions are magnified. 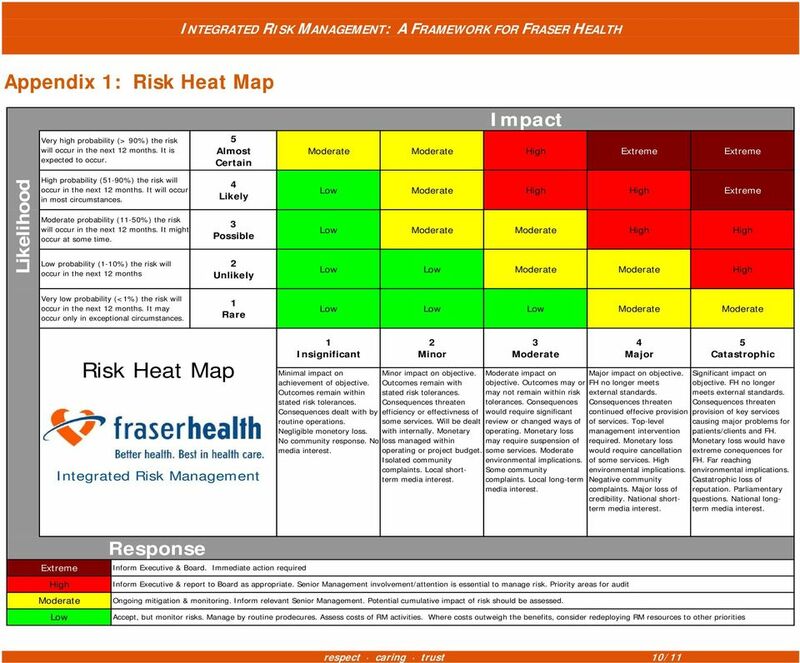 Risk is amplified. APPENDIX I. 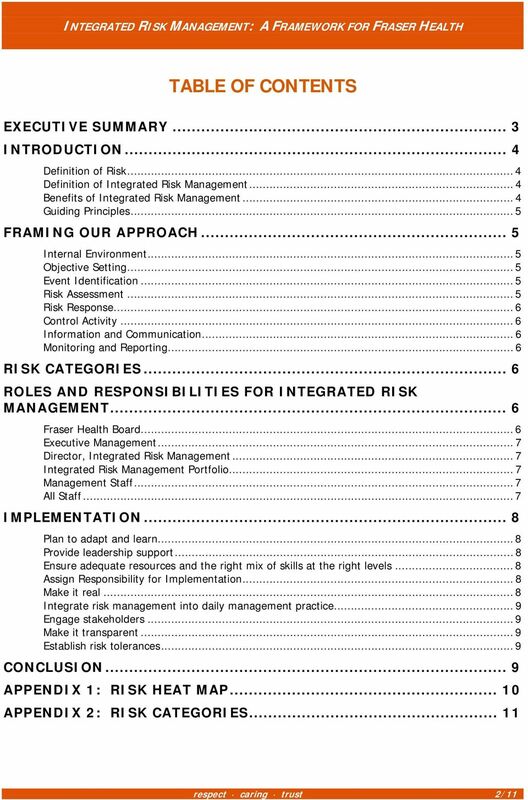 Best Practices: Ten design Principles for Performance Management 1 1) Reflect your company's performance values. 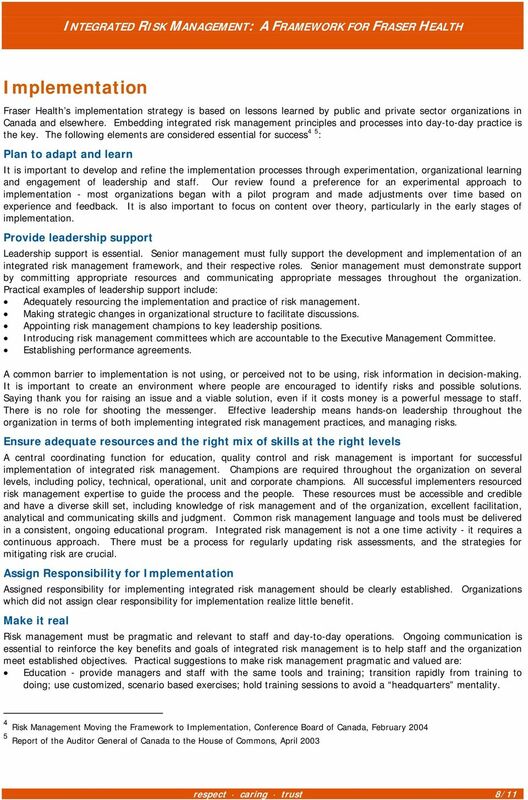 APPENDIX I Best Practices: Ten design Principles for Performance Management 1 1) Reflect your company's performance values. Identify the underlying priorities that should guide decisions about performance. Chief Risk Officers in the Mutual Fund Industry: Who Are They and What Is Their Role Within the Organization? Enabling SOA through organizational change and governance. FY15. 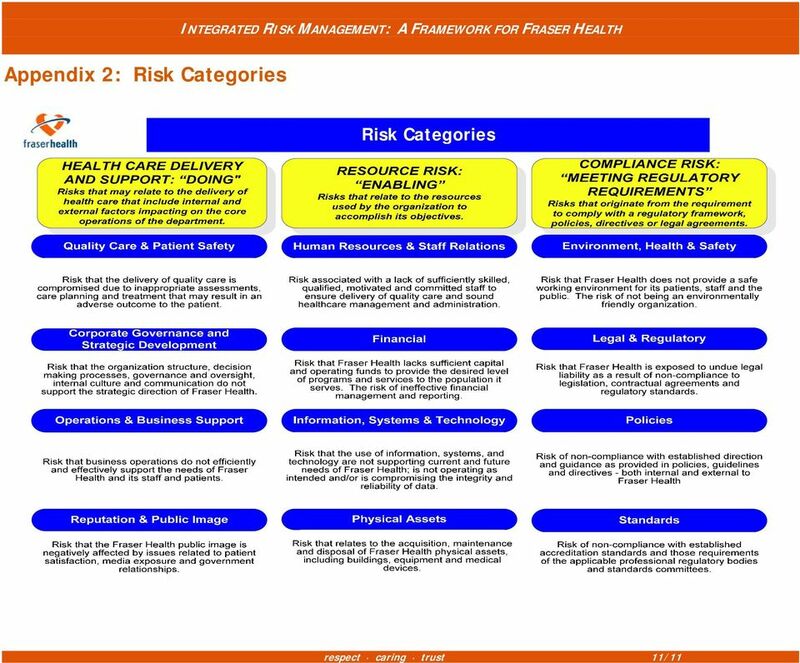 City of East Point Enterprise Risk Management Plan and Framework M. Butler. 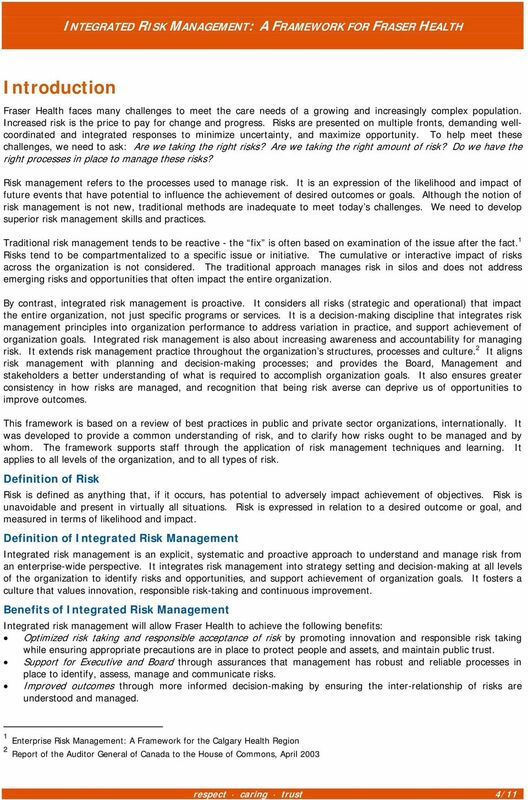 Resurgens Risk Management, Inc.
Resurgens Risk Management, Inc. City of East Point Enterprise Risk Management Plan and Framework M. Butler FY15 1 Enterprise Risk Management (ERM) forms a critical part of organization s strategic management.